It was time to put the tea to the test. I tried several cups of Cafédirect’s smallholder-grown, hand-picked teabags versus some mystery teabags from one of the Top Five, big brands. They were different shaped teabags, so they were easy to tell apart, and I actually found they made slightly different-looking cups of tea. Both teabags made a nice strong cup of tea. 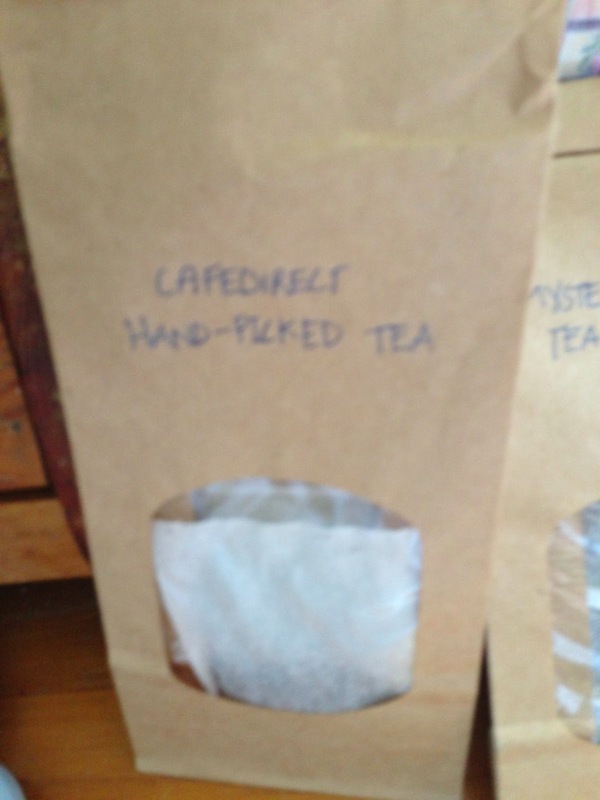 The Cafédirect tea, however, made a clearer, fresher tasting brew. I like my black tea strong, but found that even though I like a “builder’s tea”, I needed more milk with the mystery brand. I did enjoy the mystery brand, having not had standard teabags for a while after tasting lots of different speciality blends, but think that the Cafédirect tea had the edge in terms of delicacy of flavour and strength of brew. Delving further into this experiment, I took a good look at the tea inside the different teabags. Much as I hate to waste tea, Cafédirect encouraged me to look at the contents, which show the difference in the quality and texture of the tea used inside the teabags. 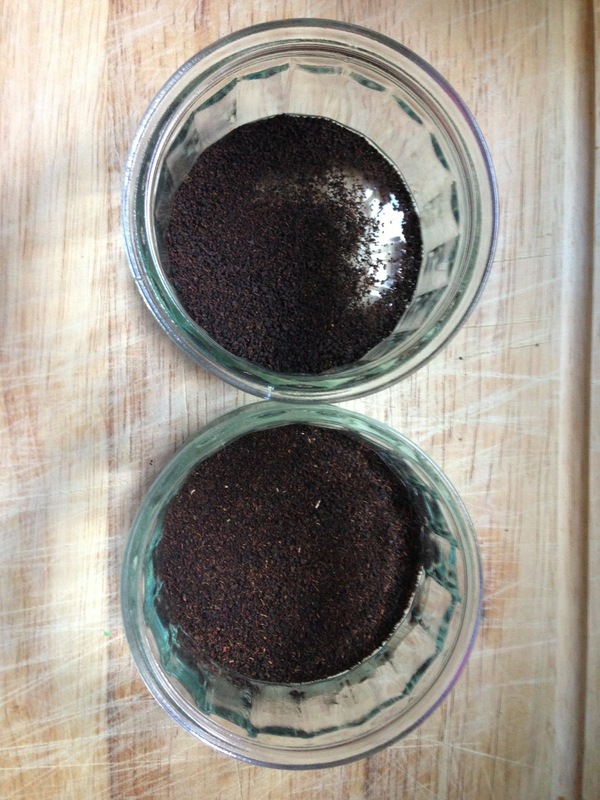 You can see these differences clearly when examining the tea – to do this (feeling very scientific!) I emptied the contents of each tea bag into identifical glass bowls. The Cafédirect tea is the one at the top, with a uniform, darker colour tea. There are no visible twigs, and you can also see that less tea is needed inside the bag to give a good flavour, as there is considerably less in the bowl. 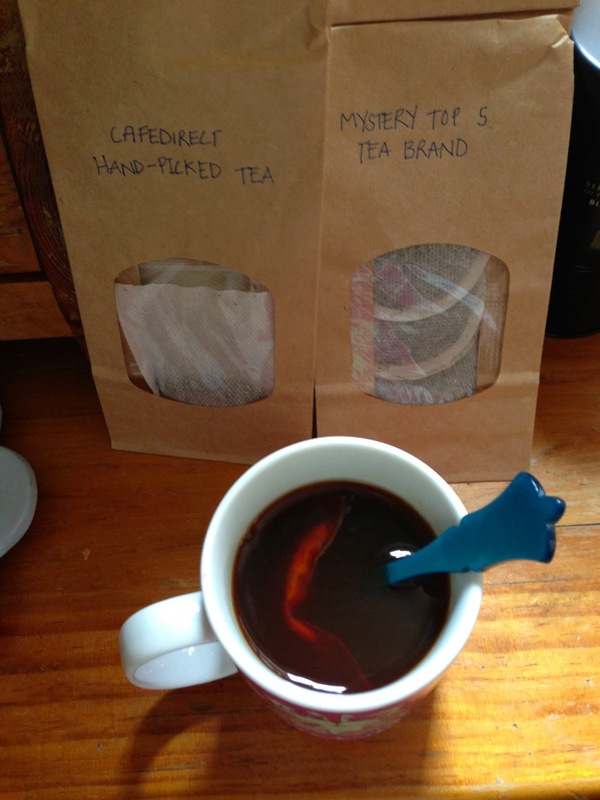 The mystery brand, on the right, has lighter coloured tea and little bits of twig mixed up throughout the tea. The twigs really bulk out the teabags. Cafédirect explain this in their RealiTEA campaign – in their series of in-depth interviews with tea growers from Uganda, Kenya and Tanzania, it became clear that the traditional, artisan skill of hand-picking the tender top two leaves and the bud (widely regarded as the only part of the tea plant suitable for making tea) is fast being replaced by less accurate machine-cutting. This standard practice for the mass market, low-grade tea means that there are twigs and the tougher, lower leaves in the teabags, and the growers are losing out. As well as the Cafédirect tea passing the taste test and coming out on top, it’s reassuring to know that they are doing their bit to give a better deal to tea growers – 22.5% of the price of a box of Cafédirect teabags goes straight back to smallholder cooperatives. According to Cafédirect, the tea industry is worth £629 million, so there’s no reason why independent smallholders should be struggling to make a profit. If all the top tea brands invested in growers in the same way, smallholders would be in a far better position and everyone would enjoy a better quality tea! Cafédirect are asking people to ‘Think Before They Drink’ – to really value good tea and be prepared to pay that little bit more so that everyone benefits. You can sign the pledge at http://www.drinkbettertea.co.uk. I am personally happy to sign the pledge, as I’m always happy to pay a little bit more for great quality tea, and as I drink so much tea, I think it’s only fair! This entry was posted in Tea and tagged Cafedirect, hand-picked teabags, Tea by Rachael. Bookmark the permalink.